Located in the heart of the Desert, Palm Desert is home to world-class shopping, outdoor experiences and art galore. The fashionable El Paseo shopping district delights with block after block of architecturally stunning facades gracing stylish boutiques, jewelry stores, restaurants, and fine art galleries. Meanwhile, the newly remodeled Westfield Palm Desert and other shopping areas are just blocks away. Nature in all its glory is on display at the Living Desert, convincing an indigenous zoo with an authentic arboretum. 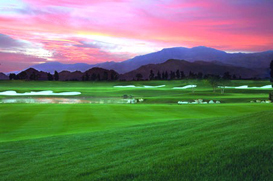 Miles of hiking trails wait to be explored, and the renowned Desert Willow Golf Resort welcomes golfers of all levels. More than 150 works of art are on display throughout the City, creating a museum without walls for all to enjoy.